So you regularly produce stories on Instagram, live stream events, and utilize chatbots for conversion. But there’s one thing in your laundry list of marketing technology trends that you haven’t explored. Virtual Reality or VR uses specialized headsets to simulate artificial environments using high-end graphics and high fidelity audio. 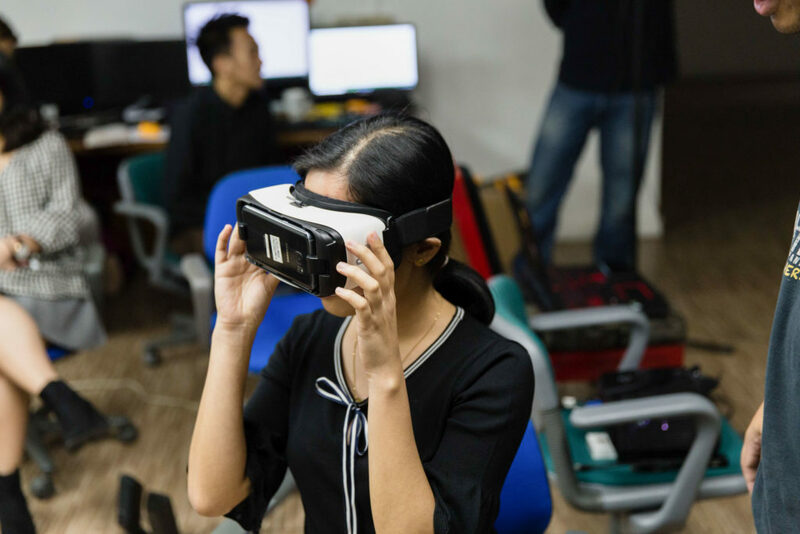 The experience transports users into a virtual world where they can interact with what’s around them.VR has been consistently mentioned in hot marketing trends since Facebook acquired Oculus back in 2014. Though there are notable VR campaigns like Volvo Reality, TOMS Virtual Giving and McDonald’s Happy Lens, locally it has yet to go mainstream as a marketing tool. 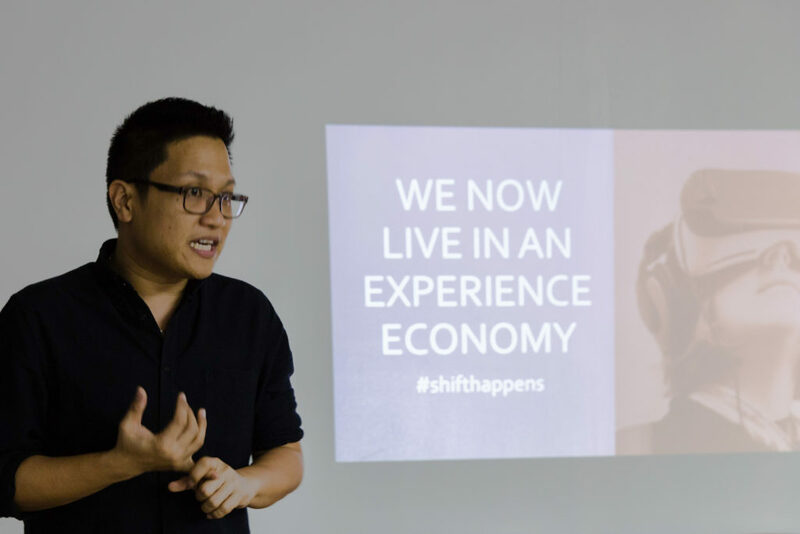 If you’re intrigued by the possibilities of VR in your marketing strategy, but are unsure how to shape it to the needs of your company, here are our top three insights from Jay Jaboneta, Chief Marketing officer of homegrown virtual reality solutions startup, Chibot VR. “Benchmark globally but look at how these best practices can be applied locally” Jay Jaboneta of Chibot VR. To get you started, here’s a tip: VR is powered by different types of technology and tools: Microsoft Hololens, Meta, Oculus Rift, Gear VR, Google Daydream, and many more. Experiment with them, savor the experiences, see what makes them different from each other, and choose what best suits your purpose! 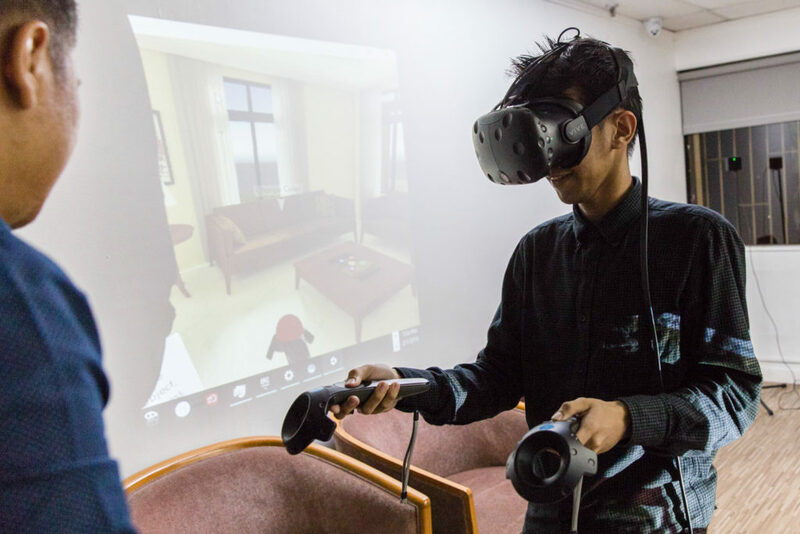 VR content platforms such as Vicarious are also making VR experiences more accessible and beginner-friendly by allowing users to both create and consume VR content on their mobile devices. Data Strategist Julio Gonzales tries out Chibot VR’s product with the HTC Vive. There’s no telling when VR will become an indispensable part of your marketing mix. One thing’s sure though: only early adapters will be able to take advantage of this emerging technology. 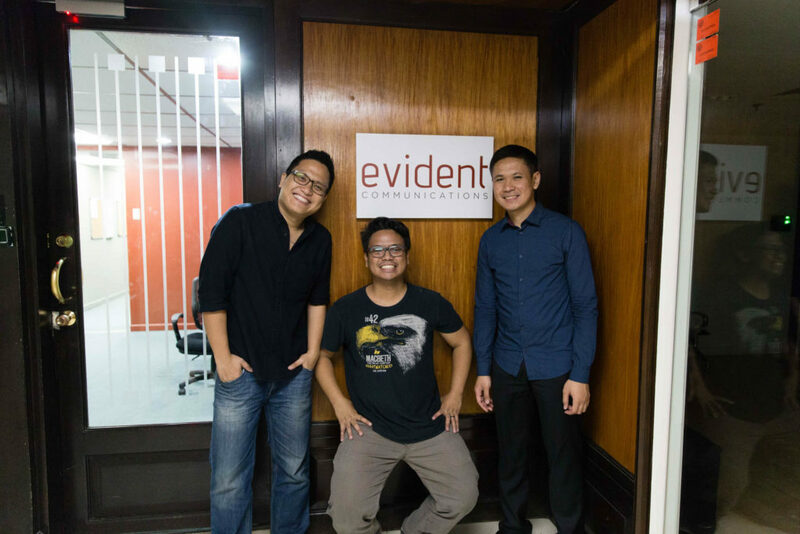 Our guest lecturers for Evident Uni: Jay Jaboneta, DJ Baylon and Rix Quiñones of homegrown Virtual Reality startup Chibot VR. Evident Uni is a series of talks and workshops to share best practices and emerging marketing trends.